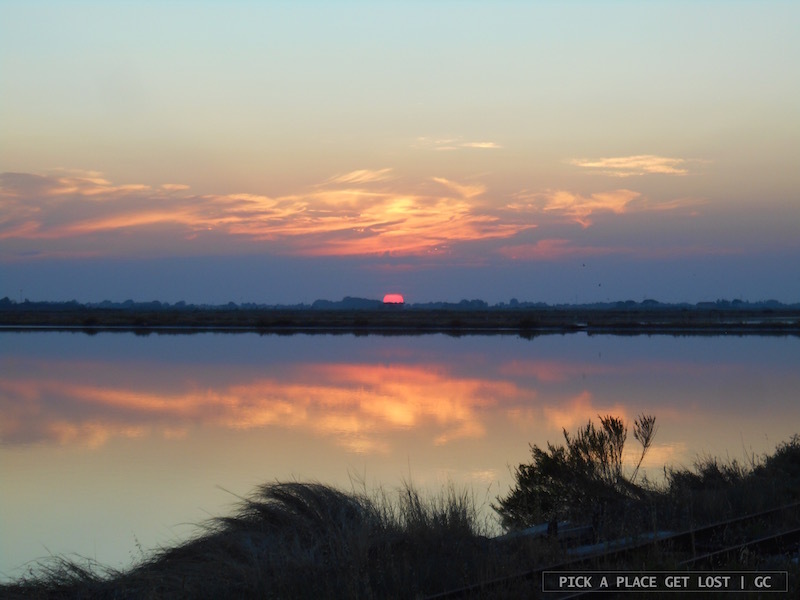 On the Saturday of the Cervia Salt Pan trip the sky was clear blue, the air clean and no clouds in sight. In fact, it was blisteringly hot, but hey you can’t have it all. After collecting our tickets at the Salt Pan Visitor Centre and having a look at the small exhibition in the building, we waited for our guides and the other people that were joining our guided tour. When everybody was there, the guides walked us through the meadows to the canal, where two boats were waiting for us. We were split into two groups, and off we sailed down the canal. 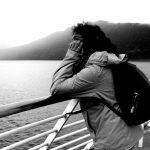 The boat tour at sunset lasts roughly one hour and a half, and consists of three parts: sailing to the Pan, walking through the salt fields, and sailing back. At some point, while sailing to the fields (and on the way back), passengers are asked to wear plastic helmets: the boat has to go underneath a (very) low bridge, so you have to wear the helmet and crouch down as the boat approaches it, or you’ll bang your head against the concrete. The boat journey takes around twenty minutes, and is nearly as stunning as the salt fields themselves. The boat is so low you can almost touch the water if you stretch your arm. 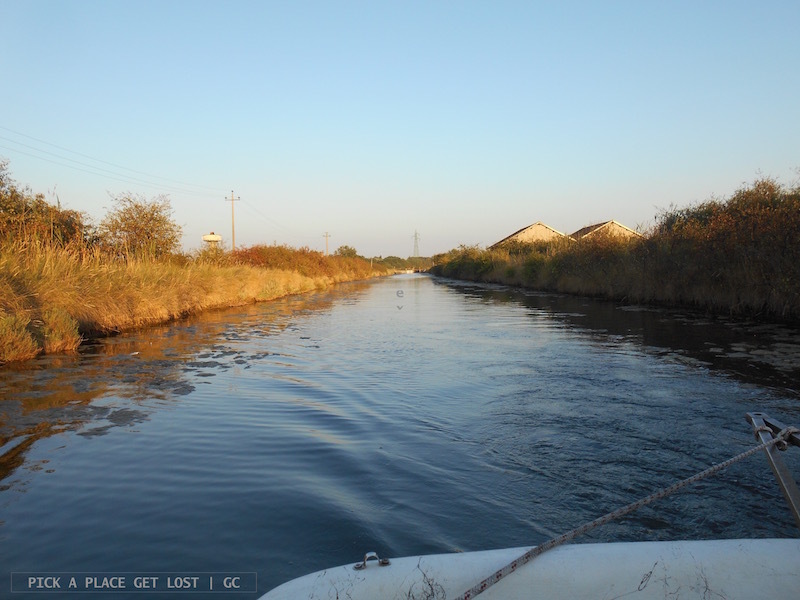 Plus, as we sailed down the canal, we got to see a lot of plants and herbs characteristic of the wetland environment. The guide called each one of them by name, and even let us taste a leaf of glasswort (that’s ‘salicornia’ in Italian), which, as everything else in the area, has a very high salt content, but apparently can be used (instead of salt) to season some dishes. Every now and then, birds appeared out of nowhere in the sky (the area is a heavenly place for birdwatchers), and the guide called them also by name (how could he tell from a distance?). Everybody was asking about flamingos, though. Even at the Visitor Centre people asked about flamingos as they collected their tour tickets. In fact, flamingos are the most popular bird species of the reserve, and it’s not that uncommon to see them in the reserve. To all those who asked the guide gave the same answer: ‘Yes it is possible to see them, but don’t expect to see them this time of the year’. As we got off the boat, the salt fields were right there in front of us. There were six (roughly square) fields, three on each side of the earthy path in the middle. They were like a giant mirror for the sky. 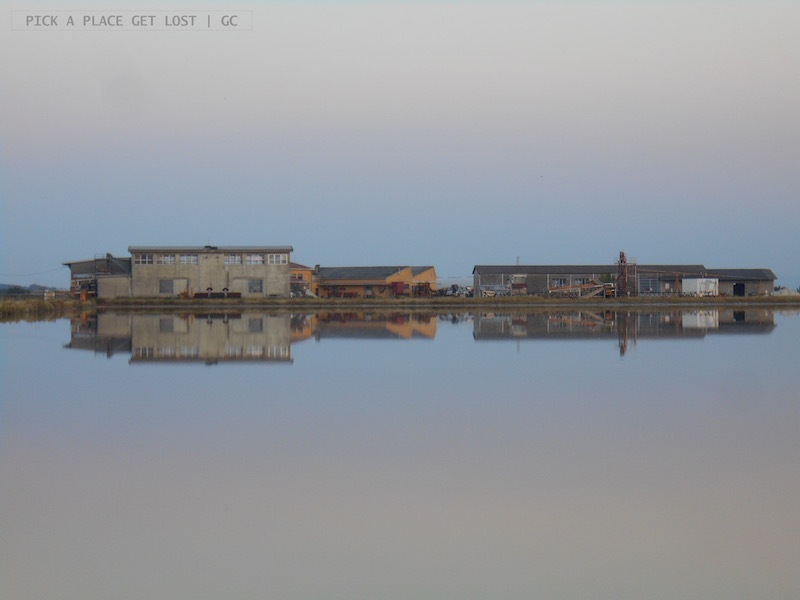 Plus, the water surface looked waveless, which made the reflection even more still. We walked past the first pair of basins, while the guide explained how salt is formed, how the bottom of all basins is made of loam, and how each pair of basins contains salt at different stages of formation. 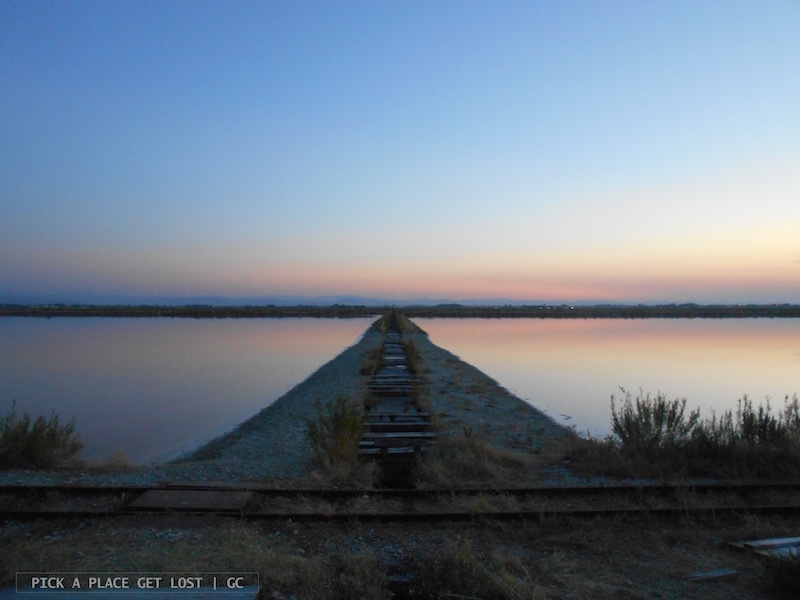 We were allowed to walk off the path to the very shore of a basin where salt was almost formed, touch the water and then taste it off our fingers. The shore was covered in salt crystals, and the water looked like ‘water’, but when you touched it you could tell it was dense, almost greasy, so high was the concentration of salt in it. It was surreal. And it tasted salty beyond imagination. The guide went on to explain that, once formed, the salt was collected and carried in special lorries to the factory nearby, where it was properly cleaned and processed until it was turned into the finished product, i.e. Europe’s purest salt. Cervia salt (or ‘Salfiore’, as it is also called) is indeed unique: it is known as ‘sweet salt’, even though it’s as salty as the other salt types. The difference is that, unlike the others, it contains no bitter minerals. It is also known as ‘the Pope’s salt’, because every year the first salt of the harvest used to be taken to Rome and donated to the Pope. 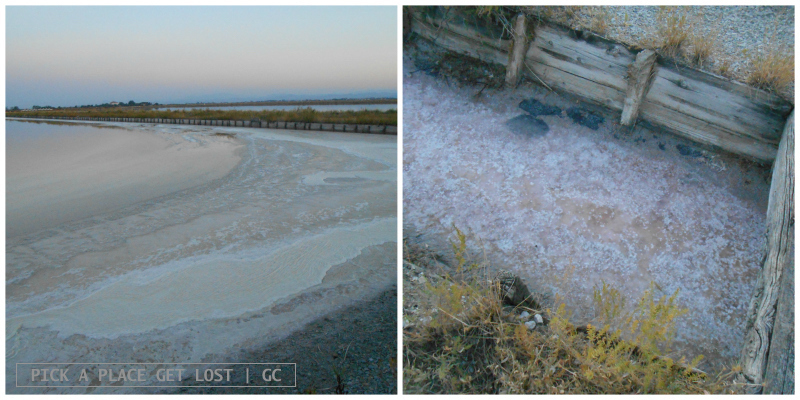 We walked past the second pair of basins, where we saw smaller wooden basins that contained pink salt. The salt was pink because of tiny little organisms living in the water, as the guide showed us after collecting a sample of water in a plastic bottle. These aquatic organisms, which are in fact shrimps, are almost red, and are responsible for the bright pink/orange colour of the flamingos’ feathers. Yes because flamingos are light grey when they are born, but because they feed on these shrimps, they grow pinker and pinker as they grow up. 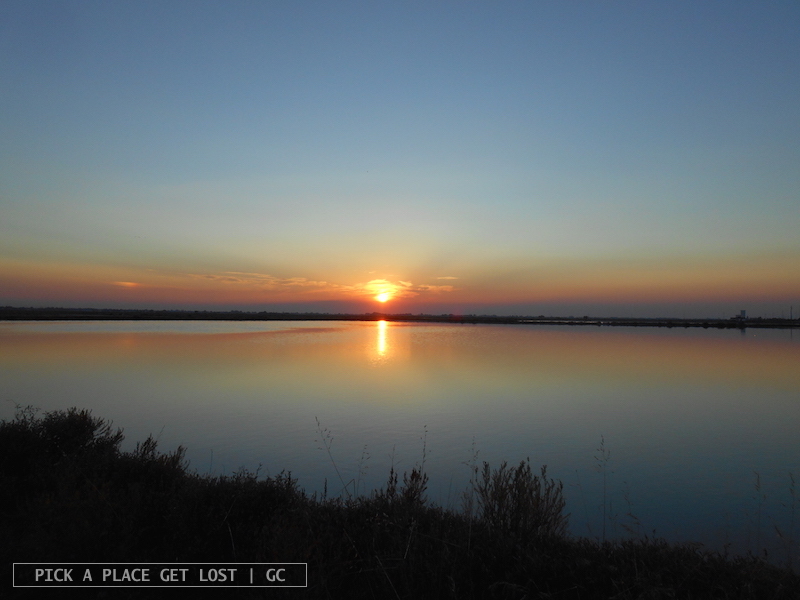 We kept walking, while the sun quickly went down, as if melting with its reflection in the water. Anywhere you turned you saw pink: the salt, the sky, the sun, the water and the shrimps. And then we saw the flamingos. A whole flock, in fact. Except, they looked the opposite of pink: they were flying in the distance, right past the sun, and they looked like black silhouettes made from cardboard. But like, wow. Suddenly it was twilight, and time to return to the boats. The most annoying little girl in the universe (who happened to be in our group) was throwing stones into the basins, despite the guides made it clear that it was strictly forbidden, as they made the salt dirty. Her mother saw her the whole time, but didn’t say a word. Well I did, and I’m positive they both hated me right there and then, but who cared. I uttered the words, then nonchalantly turned around and caught up with Bobby down the path. Even they couldn’t spoil the magic of the place. We sailed back to the Visitor Centre, still mildly inebriated by the (pink) beauty of things. If I think I’ve only seen a tiny portion of the whole reserve, I can’t help wondering how long it would take to walk through the whole area and back. Maybe next time. 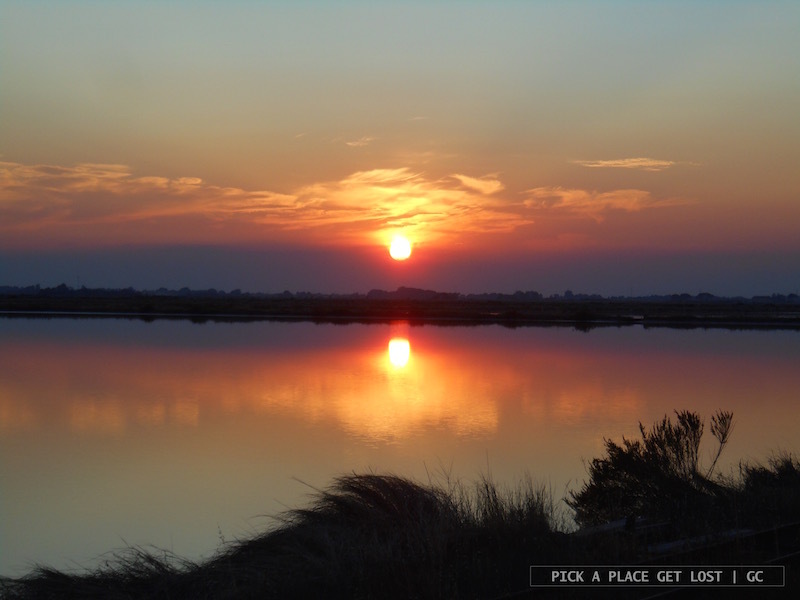 This entry was posted in Cervia 2016 and tagged boat tour, cervia, cervia salt pan, cervia salt pan visitor centre, flamingos, italy, sunset by Giorgia. Bookmark the permalink.